Redsail M series CNC Woodworking Router adopt steel structure body, use Rack and Pinion and Linear Guide ways, are equipped with high speed water cooling spindle (or HSD air cooling spindle) and High speed stepper motor( or Japan Servo motor), advanced CNC control system, it is widely used for woodworking and Sign making. 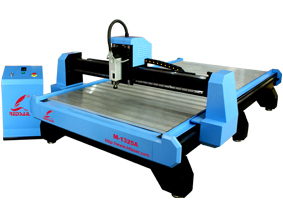 With Redsail CNC Wood Router, you can Improve cutting and engraving quality, Increase production volume, Gain better material yields ,Decrease overhead and Increase profits. Redsail offers a full range CNC Woodworking Machine , M-1325AT is a CNC Machining Center, it has automatic tool changer device (straight-line tools storeroom with 8 pcs tools).